A closer look at the awards show that has, for better or worse, dominated conversation. 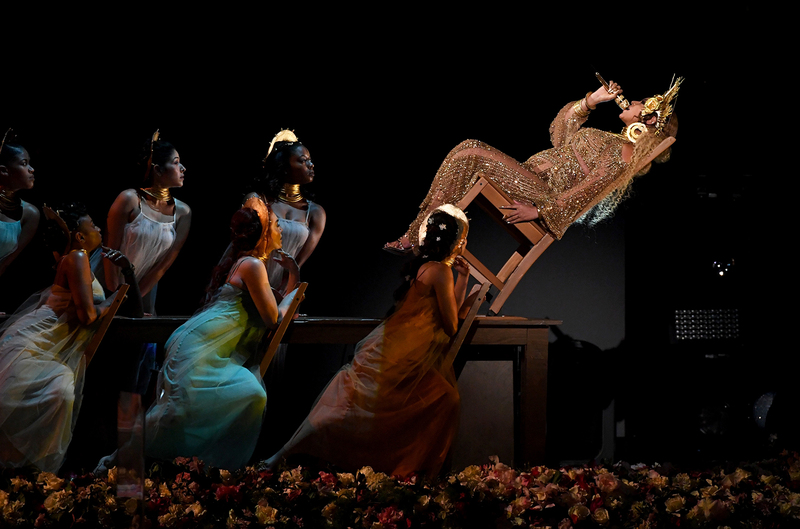 For better or worse, every year the GRAMMY Awards dominate conversation, both in the music industry and further afield. 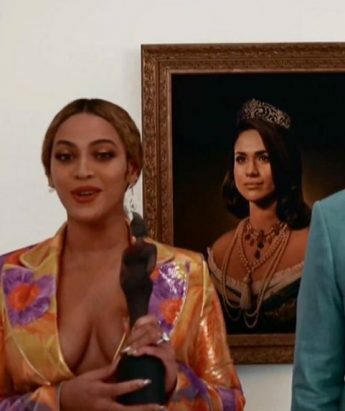 Be it disagreements over nominees, iconic outfits, moving speeches and, on one occasion, a broken award (wassup Adele), these Marmite-like awards are never far from the lips of anyone interested in culture, and this year is no different. From people pulling out to hosting speculation to the perennial guessing game of who will be performing this year, allow us to give you a guided tour of the most talked-about bits from this year’s edition the legendary music award show. 1. Ariana Grande says “thank u, next” to the GRAMMYs. Despite being one of the most talked-about humans on earth in 2018, and the small matter of her latest album thank u, next, it is being reported that pop icon Ariana Grande will not be performing at this year’s edition of the GRAMMYs. Per Variety, the singer pulled her attendance following a disagreement with the show’s producers over which songs she would perform. Allegedly, Grande felt “insulted” after producers initially refused to allow her to perform “7 Rings,” the latest single from her forthcoming album “Thank U, Next” (which arrives Friday, two days before the Grammys). Let the girl sing what she wants! 2. We WILL get to see a Shawn Mendes live though. Though fans will be disappointed by Grande’s decision, they can rest easy knowing that they will get to see another talented pop star, Shawn Mendes, play live at the awards show. Despite Mendes recently opening up to fans about his stage fright, he assured them in an Instagram video that “I realise that I care so much about what people think, I realise that’s the backwards thing and what I have to truly do is sit down and sing my song and truly connect with it.” This will be the first time Mendes takes to the GRAMMYs stage, in what promises to be an unmissable performance. 3. Oh, and how could we forget Lady Gaga? Well known for her no-holds-barred live performances, it is little surprise that Lady Gaga will grace the GRAMMY stage for the fifth year in a row, especially after the 2018 that she had. Though it is unlikely that fans will get to hear anything from her hit film A Star Is Born (that is being saved for a duet with Bradley Cooper at the Oscars a few feeks later), there is talk of the singer performing her Mark Ronson co-written and GRAMMY nominated “Joanne (Where Do you Think You’re Goin’?)”. In any case, expect an unforgettable performance. 4. GRAMMY queen Alicia Keys will host this year’s show. Having won 15 awards, it is only right that GRAMMY royalty Alicia Keys will grace the stage, albeit in a different format, this year playing host to the night’s events. The first female host since Queen Latifah in 2005, the singer said in a statement: “I know what it feels like to be on that stage, and I’m going to bring that vibe and energy…I’m so excited to be the master of ceremonies on the biggest night in music and celebrate the creativity, power and, magic. I’m especially excited for all the incredible women nominated this year! It’s going up on February 10!” You bet it is, Alicia. 5. BTS will also be presenting an award. The world’s biggest Korean boy band is heading to Los Angeles, to present an award at the 2019 GRAMMYs. This will be the first time K-Pop band BTS members Suga, J-Hope, RM, Jin, Jimin, V and Jungkook attend there awards, and they are not only presenting, but also nominated, for their chart-topping album, Love Yourself: Tear. 6. A star-studded homage to Dolly Parton. Katy Perry, Kacey Musgraves, Maren Morris and Little Big Town are set to take part in a homage to country queen Dolly Parton, with a medley of the singer’s greates hits to be performed at this year’s awards show. Writing on her Twitter, Musgraves could barely contain her excitement: “*D O L L Y dream come true, fully materialized*”. This is not all, however, for Parton herself will also be taking to the GRAMMYs stage for the first time in 18 years, for a performance of her new music from Netflix’s “Dumplin'”. Shawn Mendes and Miley Cyrus have also teased an homage to Miley’s godmother via an Instagram post, which also shows the pair on custom-made leather jackets. Er, where can we get one? There have been some memorable fashion moments of the red carper of the GRAMMYs over the years, from OK Go’s paisley ensemble to Nicki Minaj’s papal accompaniment to Pharrell donning that hat to…the list could go on. Perhaps the most memorable outfit in GRAMMY history, however, was J. Lo’s low-cut Versace dress in 2000. The dress instantly received significant global media coverage, and has since been cited as one of the most high-profile dresses ever, making Versace a household name and acting as a turning point in the career of Donatella Versace, following the death of her brother, Gianni. Google’s executive chairman, Eric Schmidt, even once stated that it was the popularity of this dress that caused the company to invent Google Image Search her dress was the reason the company invented Google Image Search. Lopez allegedly still owns the dress, though doesn’t understand the hype around the piece: “It was a nice dress. I had no idea it was going to become such a big deal.” Will anybody beat Jenny from the block this year? We’ll have to wait and see.